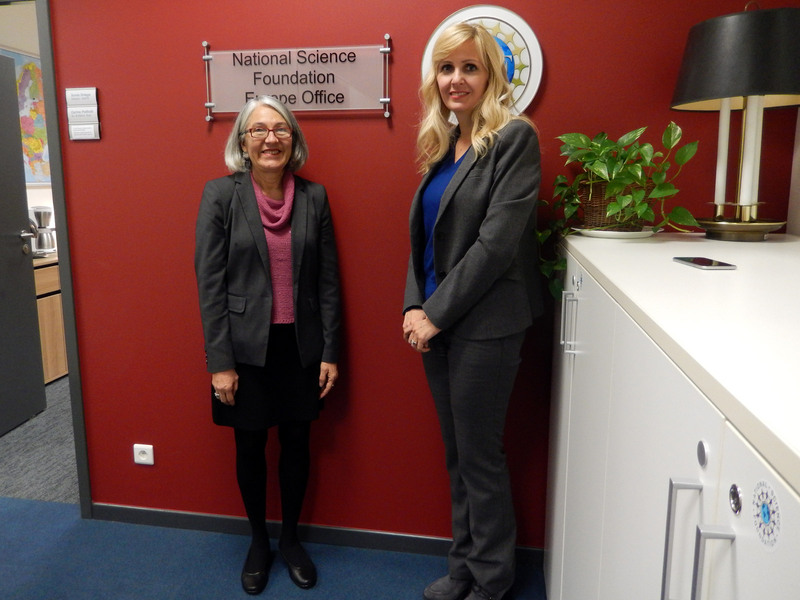 Aleksandra Drecun, the President of Intersection, and Dr. Sonia Ortega, Head of the US National Science Foundation (NSF) for EurAsia, jointly prepare the framework for the widening of research and innovation collaboration between Serbia and the USA. The National Science Foundation is an independent US federal agency created to promote the progress of science. With an annual budget of $7.5 billion (FY 2016), it supports basic research. In many fields such as mathematics, computer science and the social sciences, NSF is the major source of US federal backing. NSF’s task of identifying and funding work at the frontiers of science and engineering operates from the “bottom up”, keeping close track of research around the United States and the world, maintaining constant contact with the research community to identify ever-moving horizons of inquiry, monitoring which areas are most likely to result in spectacular progress and choosing the most promising people to conduct the research.